I am a freelance copywriter, and author of ‘The Mystery of the Disappearing Underpants’ and ‘Time School: We Will Remember Them’. I live in Kent with my husband, three children and our Boston Terrier dog, and as well as writing middle grade and young adult fiction, I also run, Storymakers, a creative writing club for children. Although a self-confessed southern softie, if you hear me say the words ‘bath’ or ‘grass’ you’ll know immediately I was born north of Watford Gap. In fact, it’s this Yorkshire childhood to which I credit my lively imagination, living on a cul-de-sac in the days when children were allowed to run free and left to make their own fun. I still retain strong links with Yorkshire and it’s these memories of my childhood days that provided both the inspiration and the setting for ‘The Mystery of the Disappearing Underpants’ and the ‘Time School’ series. Being a mum to three children has also inspired my writing. Having reluctant readers as part of my flock was something I found difficult to understand having been a bookworm myself. Middle-grade and young adult literature had a big influence on me and helped foster my love of reading and writing stories. This made me even more determined to write stories that could have that same effect on other children, including my own and also encourage them to want to read and discover more. I recently discussed this on BBC Radio Kent, on the Dominic King Show. 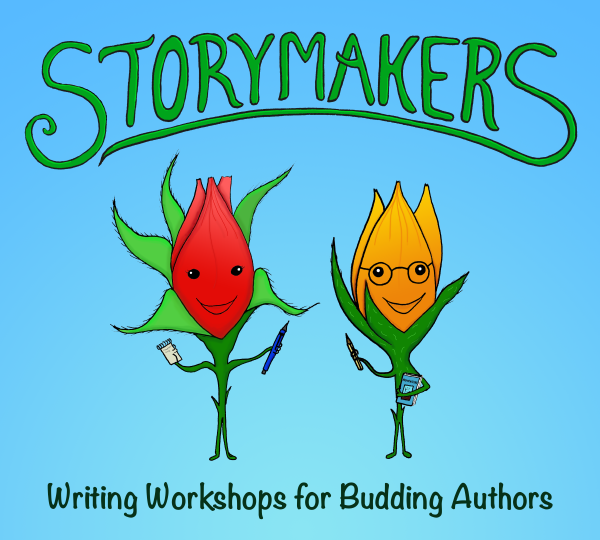 In July 2017, I set up Storymakers, a creative writing club for children. The aim of this club is to provide weekly writing classes for children aged 7+, to encourage and inspire a love of writing. I frequently find children are reluctant to write, yet they have incredible imaginations and love to make up stories. My aim is to get them to translate these imaginings into words. The Club has three groups - the Story Writers, which helps children to focus their ideas and structure them into stories, the Writer Buds, which allows children to explore different styles of writing and the Young Writers, a group for children aged ten or over. The Young Writers Group were guests on KMTV in 2018 to talk about the picture books they wrote and illustrated, which they went on to share at a Story Time Session at Sevenoaks Library. Storymakers can also provide one-off workshops and after-school clubs in the Sevenoaks and Tonbridge area. When Harry and James form a secret agency for the summer, their first task is to investigate the disappearance of Harry’s lucky underpants and to prevent nosey neighbour, Stacey, from interfering in their business. Fun and spy tricks soon turn more serious though, when a mysterious couple move in to the old house on their street. Harry and James join forces with Stacey and together they uncover the mystery of what is going on at number 35, with some surprising consequences.